Know Fitchburg High Class of 1975 graduates that are NOT on this List? Help us Update the 1975 Class List by adding missing names. Come spend the evening with old friends! We'll catch up, eat hot and cold appetizers and dance the night away with our fabulous DJ, Kevin Jacques! Hope to see you there! 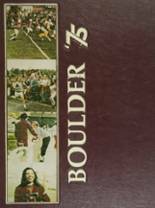 More 1975 alumni from Fitchburg HS have posted profiles on Classmates.com®. Click here to register for free at Classmates.com® and view other 1975 alumni. The Fitchburg High class of '75 alumni are listed below. These are former students from Fitchburg in Fitchburg, MA who graduated in 1975. Alumni listings below have either been searched for or they registered as members of this directory. For former Fitchburg students from MA, you can view the class reunion information that has been posted by other site visitors. In addition, we encourage you to post your profile in the alumni directory, share information about the school activities you were involved with and reconnect with Fitchburg High School alumni.